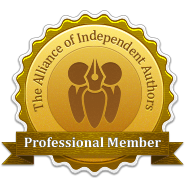 So many readers have told me they have found new authors via recommendations from other authors or from other authors’ newsletters that I decided it was time to create a circular dedicated just to bargain and new release historical romances only. I adore sharing my fellow historical romance authors books with readers who love the genre as much as we do. Each edition includes four new historical romance releases and four free or bargain books. Readers: I promise to bring you the very best offers and an assortment of amazing new historicals for your reading pleasure with every edition. You can unsubscribe any time, but why would you want to? Subscribe HERE. Authors: Submit your historicals via the form HERE. Everyone: Please share this page and the newsletter when it arrives in your inbox.